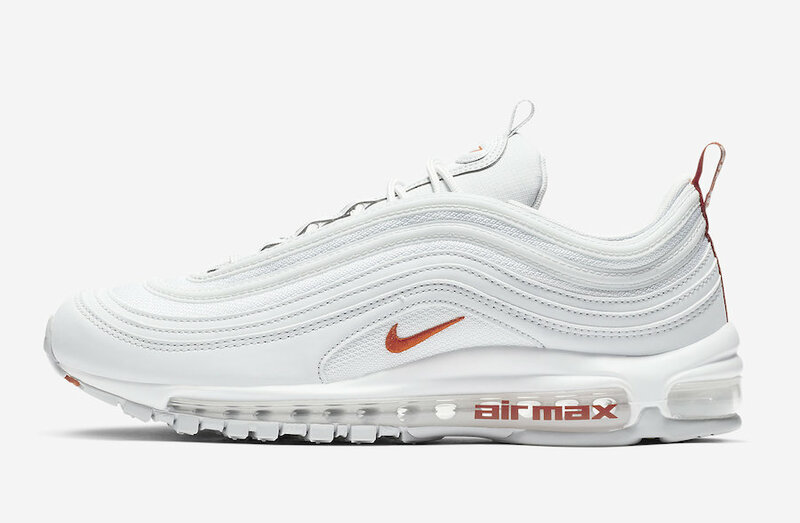 Home Nike The Nike Air Max 97 Dropping In White/Orange Color Option. 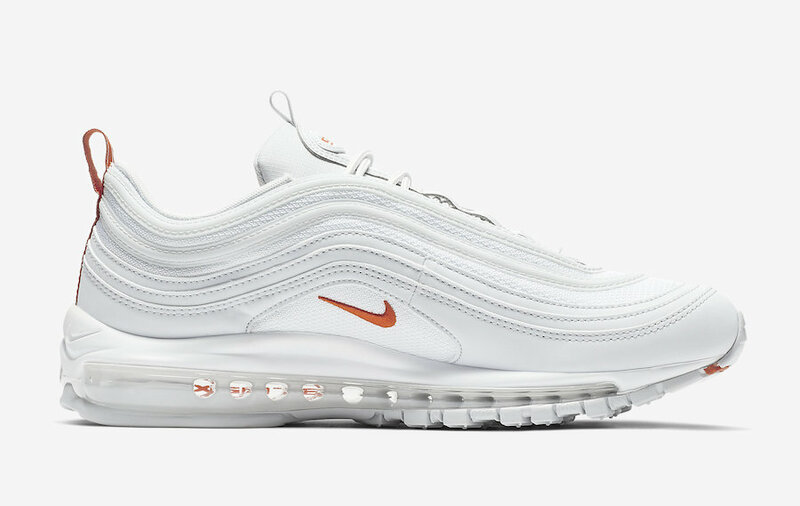 The Nike Air Max 97 Dropping In White/Orange Color Option. 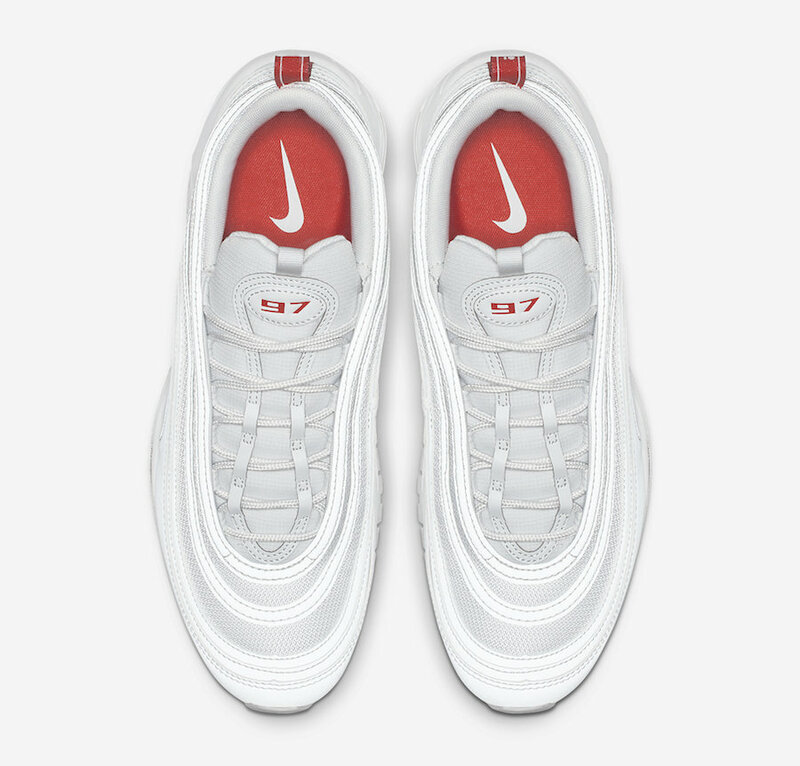 Another new colorway for the Nike Air Max 97 that will definitely blow your mind up. 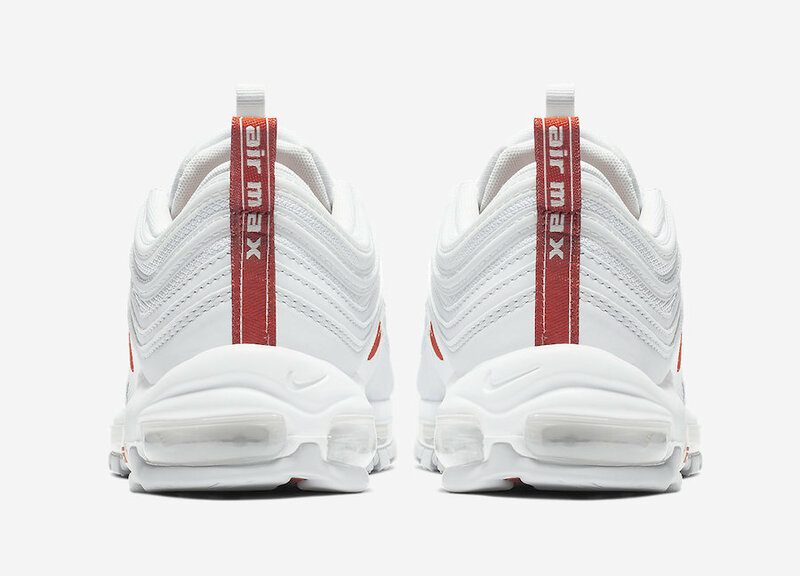 This time, the pair comes dressed in a clean mix: Pure Platinum, Team Orange, and White color options. We can see the upper constructed out of mesh and leather materials, covered in white. Other detail includes the orange color that hits the tongue, Swoosh logos, heel tab, as well as the insole. 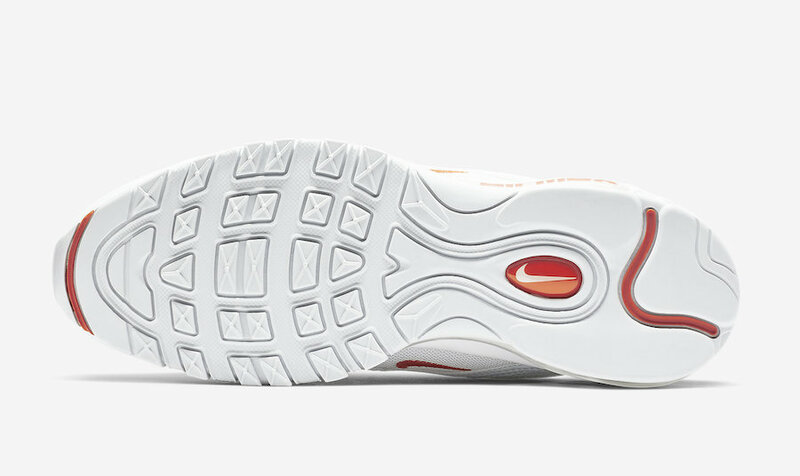 A white midsole with a magical touch of orange on the Air Max sole unit and the outsole finish off this classy design. 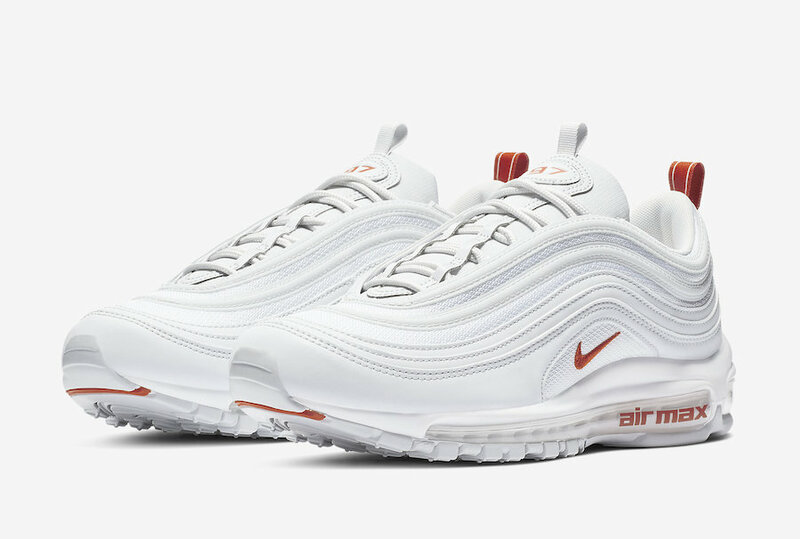 Wait for this Nike Air Max 97 to arrive in the coming weeks at select authorized swoosh retailers. Enjoy checking out these detailed images below and grab a pair for yourself.